One of our local state parks has an amazing animal observation window. Winter, spring, summer, fall–we have visited over and over throughout several years. 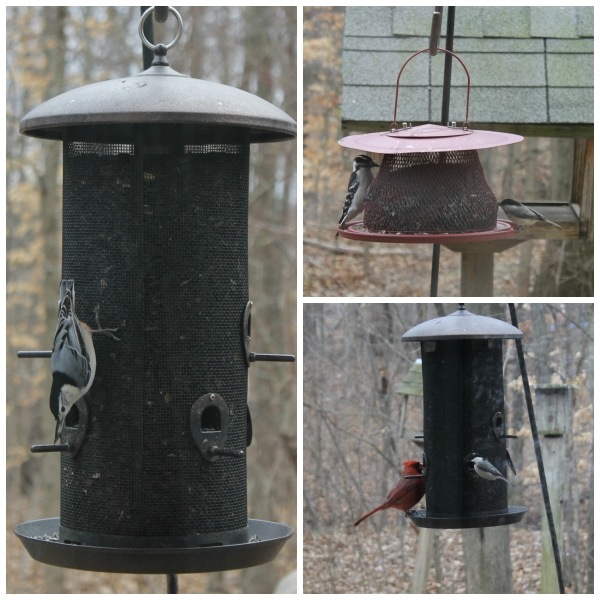 This simple, natural nature study gifted us with learning the names and behaviors of many of the feathered friends in our state. Part of Simon’s Camping Class (at co-op) last fall included a week of learning about local birds. 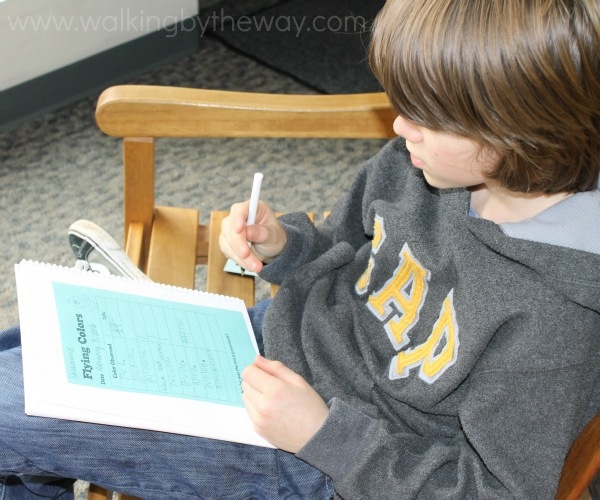 During that class he made a bird observation notebook, and we have had the opportunity to use it the past two weeks while Elijah volunteers at the park’s interpretive center. The notebook was made with a small spiral bound Bare Book. The students added the types of pages they wanted (and multiples of each page). 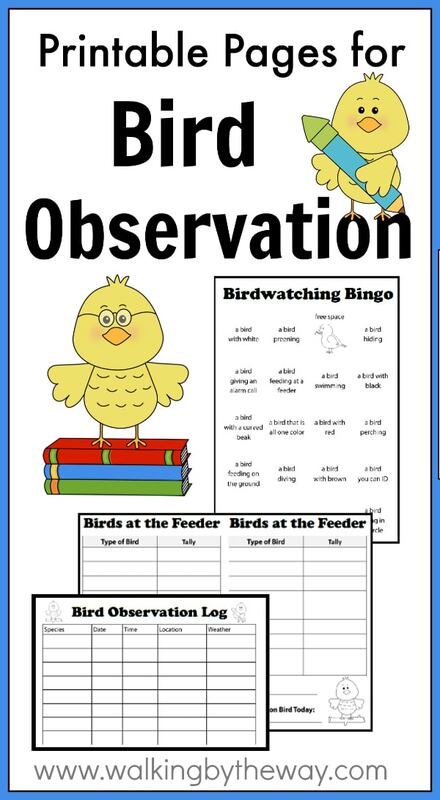 The printables include four different pages: Bird BINGO, Observation Log, Flying Colors, and Birds at the Feeder. While we are bird watching, Simon chooses a page to keep him engaged. We keep a Bird Watching Guide with us when we go birding. 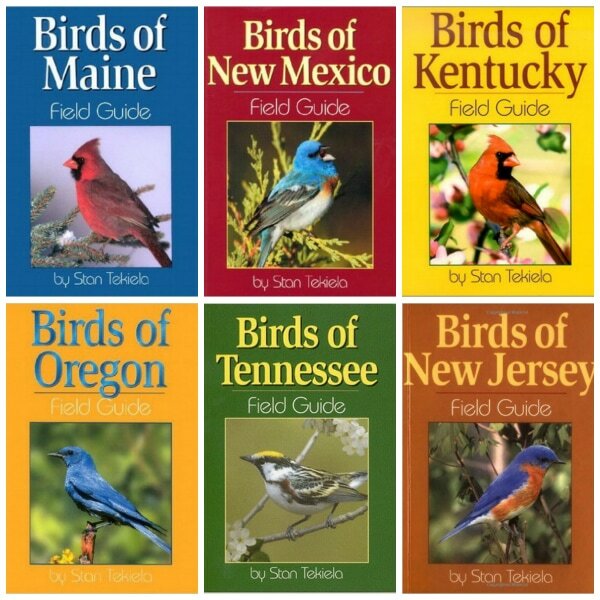 Our favorite guide is the one by Stan Tekiela who writes bird books for each state; these guides are color coded–making them the most kid-friendly bird identification guides ever! 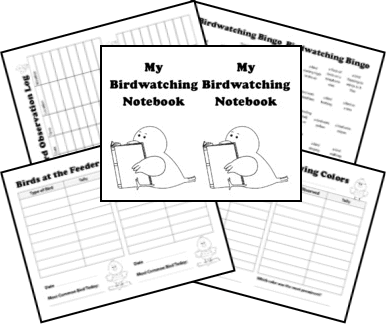 Ready to make your own Bird Observation Notebook? PRINT the PAGES and use them as desired. If you are looking for more ideas for a bird nature study or unit study, try my Bird Theme School Pinterest Board.